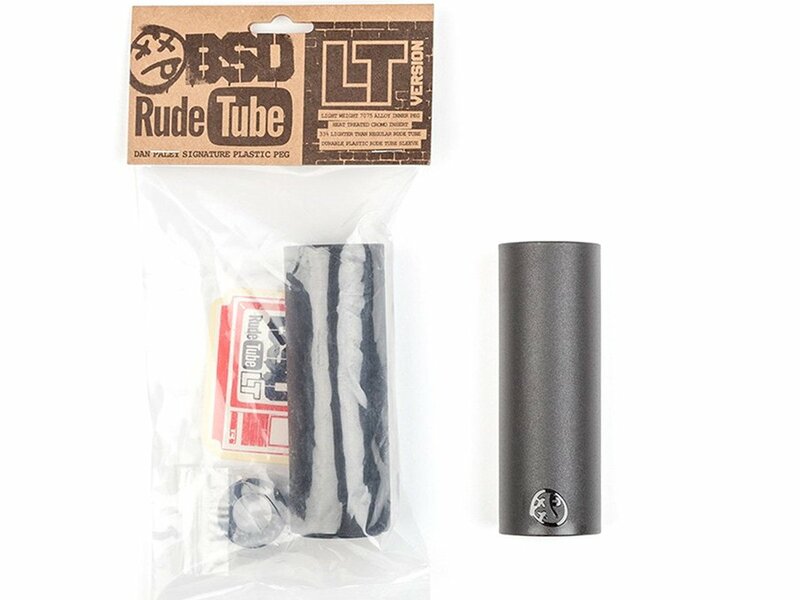 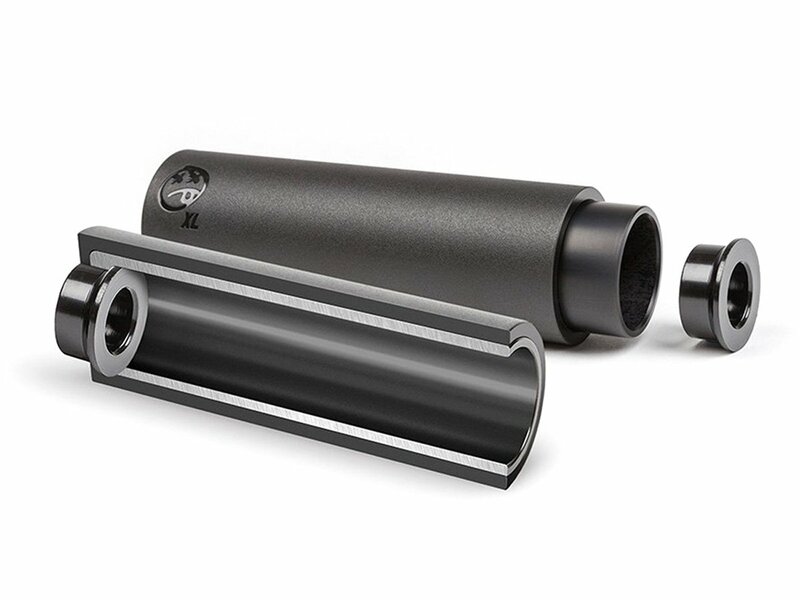 This BSD "Rude Tube LT" Peg - Aluminum/Nylon comes with dimensions of 106mm (4.2") length and 37mm (1.46" Zoll) outer diameter. 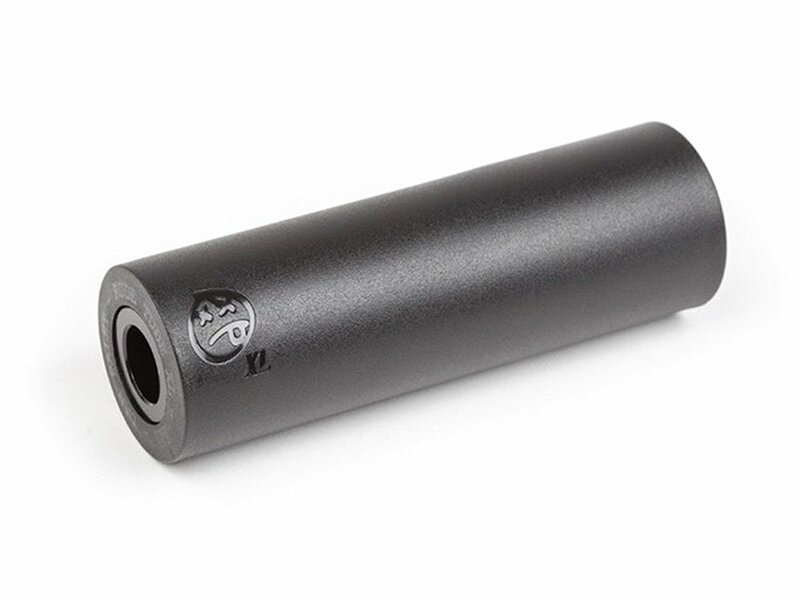 This sleeve peg is an evolutionary leap in the pegs development and provide through the outer and replaceable plastic sleeve better slipping properties on coal and steel surfaces, less noise and and still is quite durable. 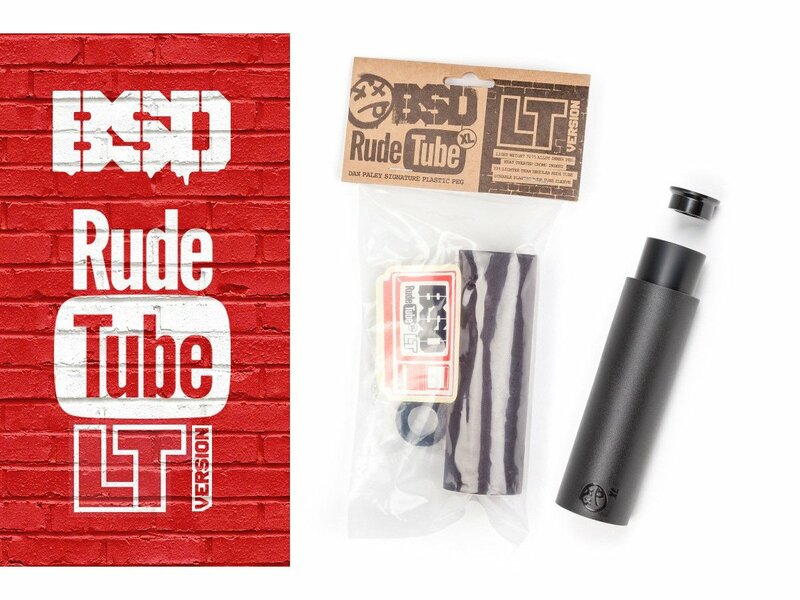 The core (inner peg) of the BSD "Rude Tube LT" Peg - Aluminum/Nylon is made of lightweight 7075 aluminum core with a with heat treaded CrMo adaptor and ensures the usual stability compare with an awesome weight. 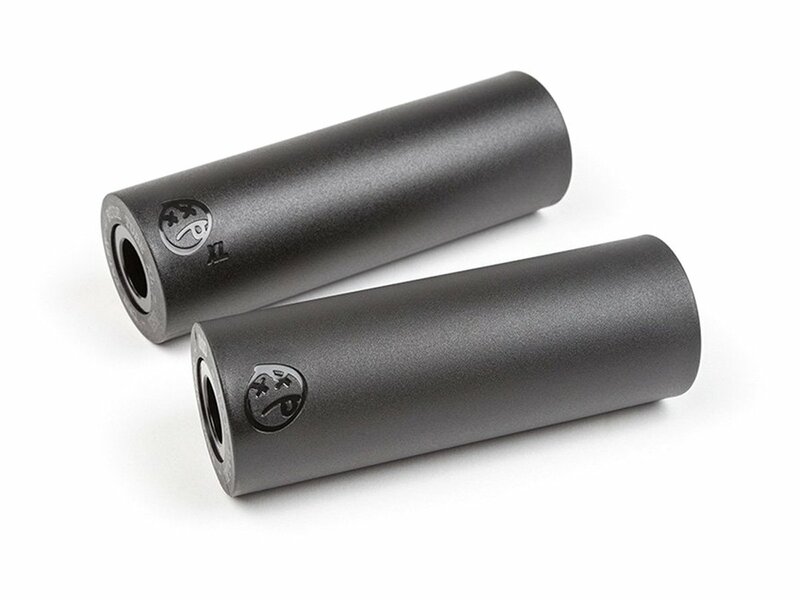 The replaceable plastic sleeve is available separately in our shop. 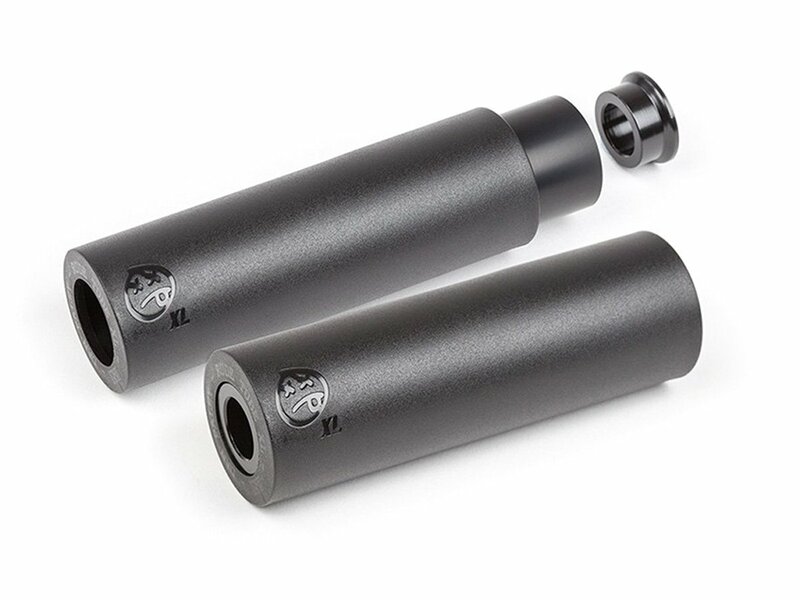 Please check out your axle diameter before ordering that single wise available BSD "Rude Tube LT" Peg - Aluminum/Nylon.